Each stride is effortless in this short sleeve, GEL cooled training top for men. 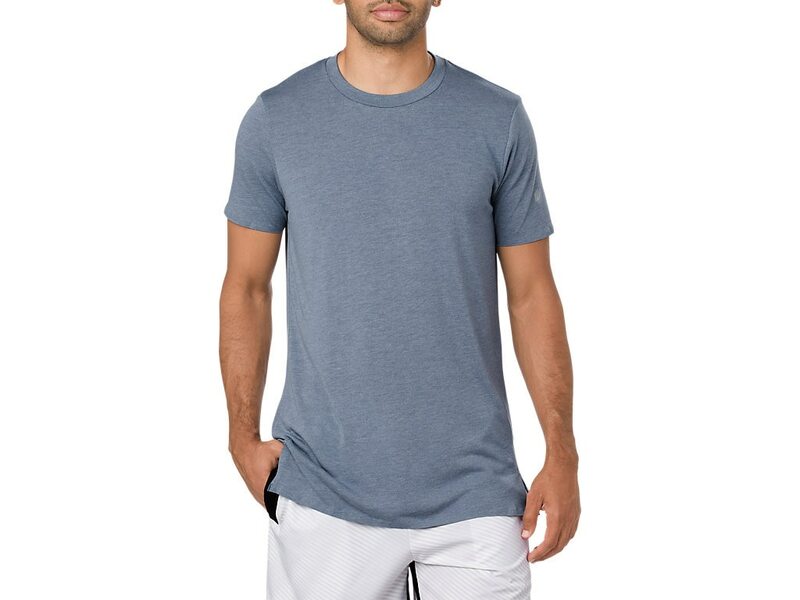 The t-shirt features a lightweight construction and our new ASICS GEL Cool technology at the back which absorbs moisture and creates a ventilation space between the skin and the fabric where air can flow, reducing sticking and keeping you cool. The fabric is highly breathable and dries quickly for ultimate comfort as you dash towards the finish. The longer body length is designed to not roll up during movement and is an added feature for layering. Slits at the bottom hem improve range of motion and ventilation while reflective ASICS hexagon branding detail keeps you visible in low light so you can run and train safely before or after the sun makes its appearance.